Land on dillards.com/careers and then you can start to search job openings by clicking "Store Roles" or "Non-Store Roles". Then, you need to select a language, your state and city to filter some useless info and pinpoint some proper positions. Click "Go" to go on with your online application. In this step, you need to specify your location info. 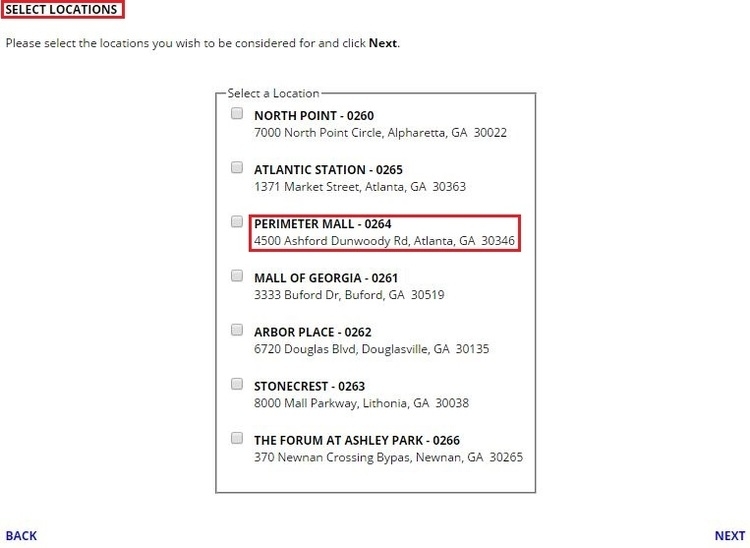 Once you’ve done with it, you are asked then to select an available position in this location at Dillard’s. Then go to the next step. To go any further of your online application, you’re asked to register or log in at Dillard’s. 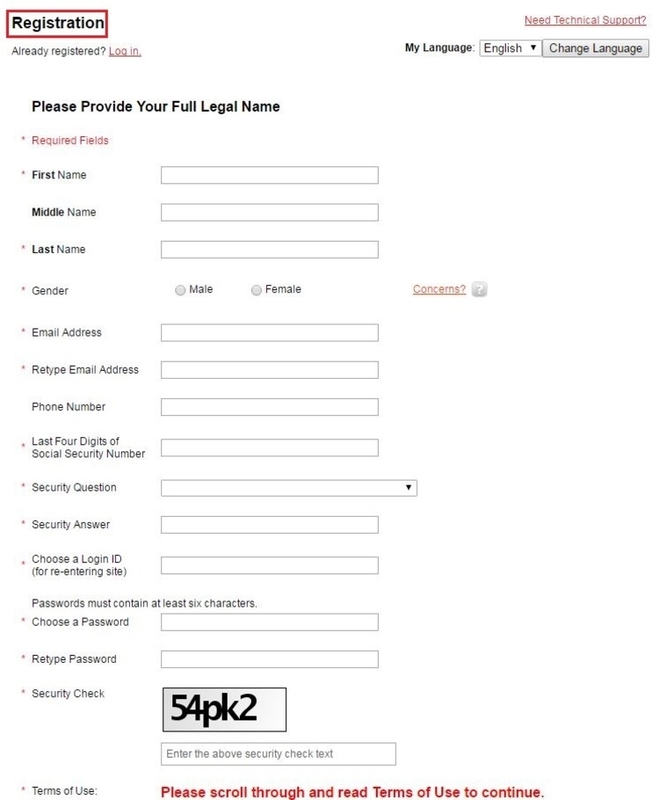 If you are a new user, you need to create a new account by proving a valid email address. If you have registered here before, you can simply enter your user name and password to log in. After you've selected a position at Dillard’s, on this step, you are required to answer some concrete questions to further prove your qualifications. 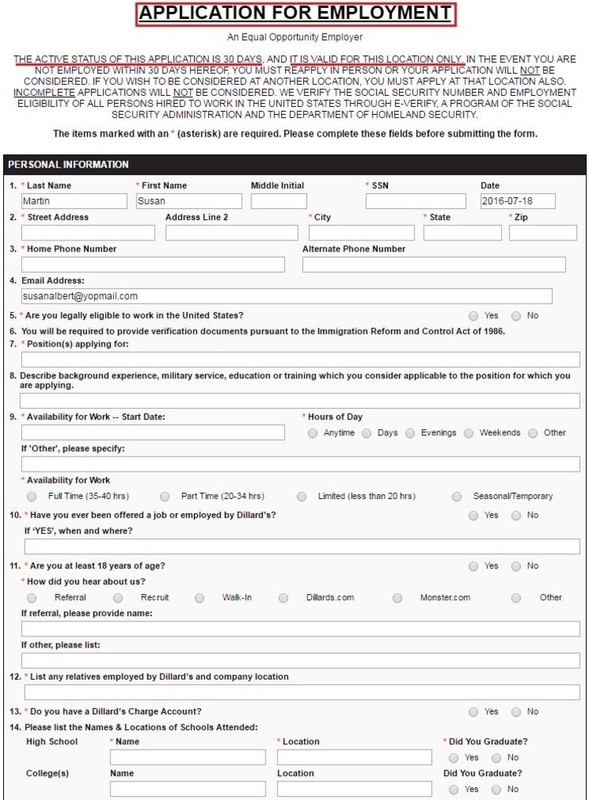 You will then be asked to fill out an application form that stays active for 30 days. Be sure to offer all needed information or your online application won’t be considered. When you've done with the application form, you must sign your name to agree with Dillard’s agreements. 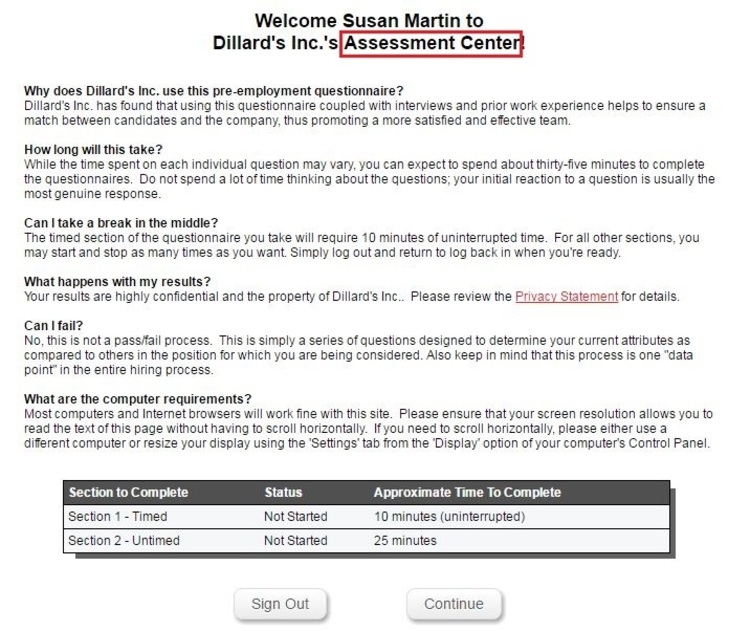 Then, you’re required to complete an assessment and Dillard’s will assess your personal ability and skills of logic and calculation. There are two sections to complete the assessment. You will probably take 10 minutes to finish Section one and about two 25 minutes for Section two. Offered by the federal government to improve the hiring rate, the tax credit survey is going to determine the eligibility of employees to obtain tax credit. 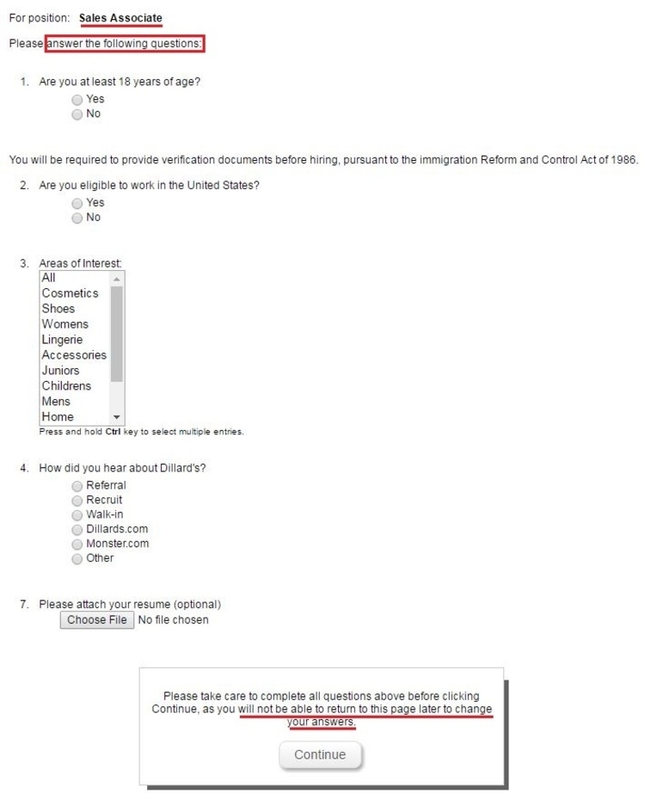 As part of the tax credit program, this kind of survey is optional. Your answer will be kept only by Ernst and Young and confidential, which will not be shared by the employers. Click dillards.com/careers to apply for Dillard's jobs online.